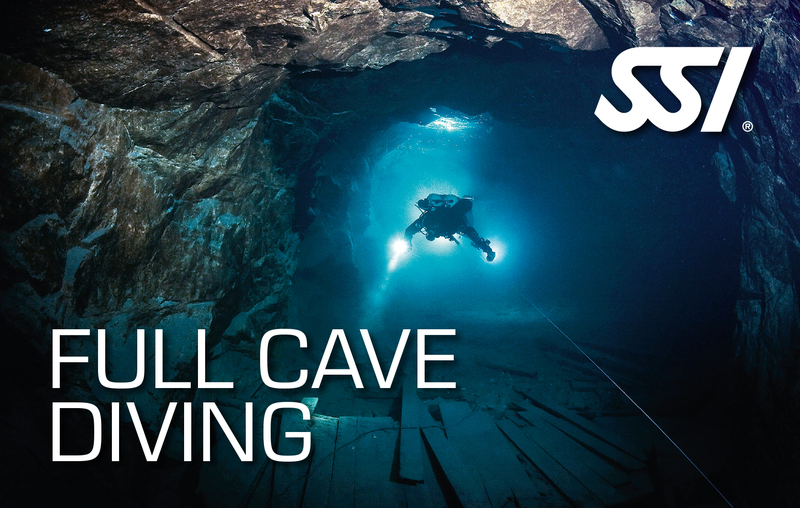 SSI Full Cave Diving allows complex navigation and you learn how to traverse, jump, tee and gap within the cave system. You will learn even more about a lost line, lost light, gas sharing and lost diver procedure. The Full Cave Diving Program is the highest level overhead environment program, providing all the tools needed to be a true explorer! Upon completion you will be certified as follows: SSI Full Cave Diving Instructor.